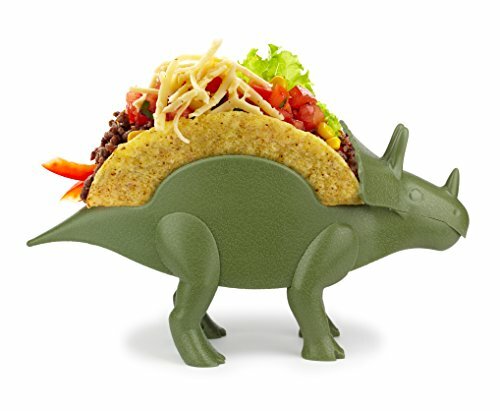 Tricerataco Taco Holder - Moar Stuff - You don't need it but you know you want it. Thought to be extinct the prehistoric taco holder is back! Ready to hold 2 tacos on its back! SPARK their imagination and love of both by combining the two! 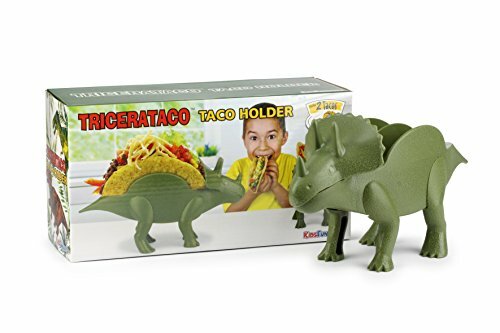 The Tricerataco Taco Holder was probably meant for kids but, now that you’re aware that such a thing exists, you know you want one too. This thought to be extinct, prehistoric taco holder is alive and ready to carry 2 tacos on its back! 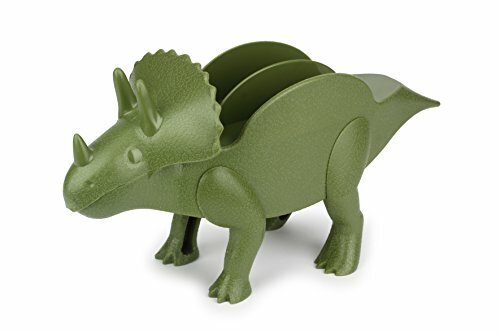 Made of dishwasher-safe green polypropylene plastic, this fun taco holder will defend your precious (and delicious) tacos from the ravenous Tacosarus Rex. It goes without saying that it’s perfect for kids since we all know kids love both dinosaurs and tacos. However, it’s also perfect for adults. Let’s face it, you can’t really be “adulting” when you eat tacos. It’s just physically and socially impossible because they’re so delicious but messy and fun to eat. So, why not embrace your inner kid and have some fun on your next taco night? Go ahead and get one (or more), Taco Tuesday awaits!!! Dimensions: 10.2 x 5 x 3 inches. Made of dishwasher-safe polypropylene plastic. Keeps them safe from T-Rex (Tacosaurus) attacks so you can enjoy them at your leisure.